Deadman's Island is an island just off of Stanley Park in Coal Harbour. It is connected by a bridge to Stanley Park. Once a native burial ground, it is now the HMCS Discovery Naval Reserve. It is off limits to the general public. There were so many people buried on Deadman's Island that it is of no surprise that it is haunted! People have heard a woman sobbing and loud clanging noises among other other things. 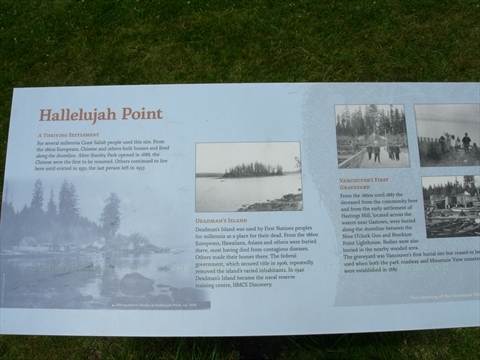 The name of this six acre island comes from its use as a burial ground by the Salish Indians. Early settlers used it as a cemetery and as a quarantine area during the 1893 smallpox epidemic. In 1944 it became a naval station, H.M.C.S. Discovery - named after one of Captain Vancouver's ships. Deadman's Island was used by First Nations peoples for millennia as a place for their dead. From the 1860s Europeans, Hawaiians, Asians and others were buried there, most having died from contagious diseases. Others made their homes there. The federal government, which secured title in 1906, repeatedly removed the island's varied inhabitants. In 1942 Deadman's Island became the naval reserve training centre, HMCS Discovery. 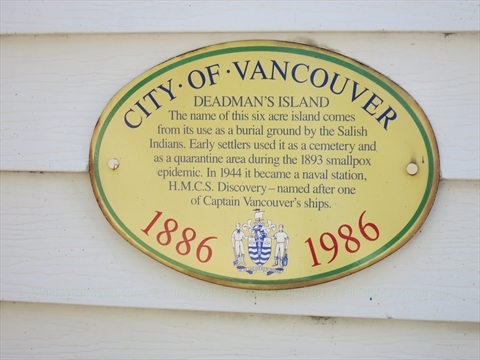 Where is Deadman's Island in Coal Harbour, Vancouver, B.C., Canada? 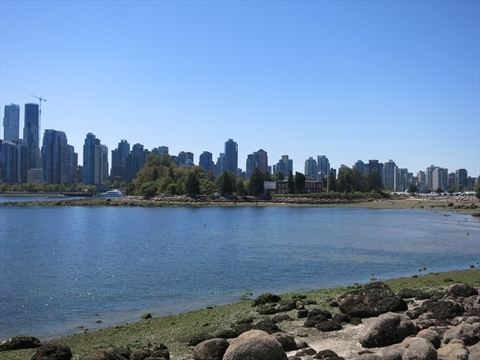 Deadman's Island is located in Coal Harbour. The entrance is across from the road that leads up to the Brockton Pavilion.